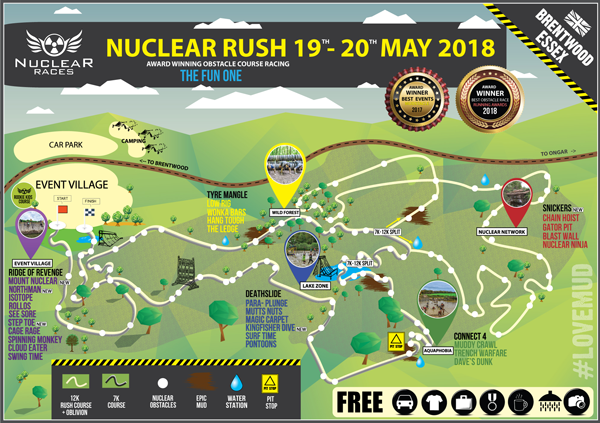 Nuclear’s well known for delivering award winning events with big, high quality achievable, man-made and natural obstacles designed to test every ability of fitness on fast-paced, flowing, punishing courses over epic varied terrain. Expect the infamous Deathslide, Zip-lines & 120m Gorilla bars at this event plus loads more. All images and content Copyright Nuclear Races.